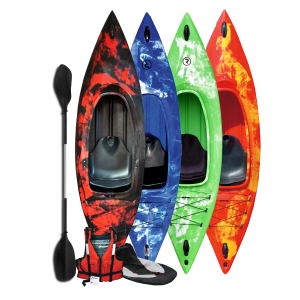 The 360 Fishing Sit on Top kayak is the perfect solution for fishing enthusiasts. There’s plenty of storage for all of your kit in the large front hatch and the rear bungee area. 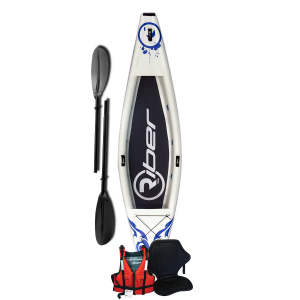 The 360 Fishing Sit on Top kayak is the perfect solution for fishing enthusiasts. There’s plenty of storage for all of your kit in the large front hatch and the rear bungee area. In addition to this, there is a small lockable storage hatch in the middle of the kayak perfect for keeping your valuables safe and dry whilst out on the water. 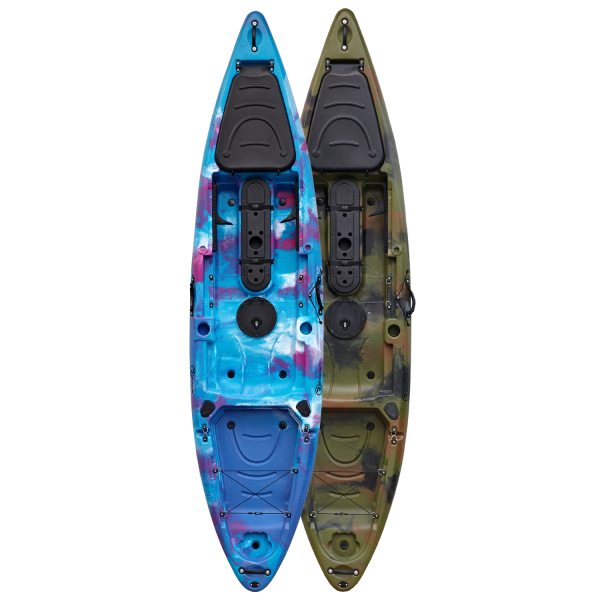 The 360 Fishing Sit on Top kayak has two built in rod holders and side carry handles with paddle holders. These allow you to keep your paddle secure and close by so your hands are free to fish. The centre storage console of the 360 Fishing Sit on Top kayak is so the paddler can use this as a bait box conveniently situated in the middle for easy access. There are multiple fishing rod mounting points on the top as well as a drinks bottle holder and a measuring ruler so you can check the size of your prized catches. The 360 Fishing Sit on Top kayak is comfortable to paddle as it is with the use of the adjustable footrest. You can also improve this by adding one of our backrests. These include our Standard Backrest, the #4017 which can be found here. Alternatively you may wish to consider the discount we offer for buying this item as a starter pack. 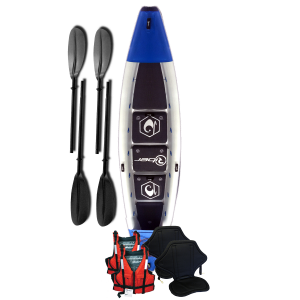 A starter pack comes with the 360 Fishing Sit on Top kayak, a buoyancy aid, a backrest and a paddle, it can be seen here. The 360 Fishing Sit on Top kayak has a very shapely hull making it perfect for cutting through waves whilst out at sea. Equally it will perform brilliantly whilst on rivers, lakes and canals. 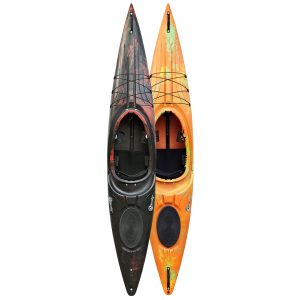 This kayak is very stable and both the keel and skeg help you track through the water effortlessly.